"Or Maniac Cop 3: Bride of Maniac Cop, as it should have been called"
The Maniac Cop trilogy, courtesy of writer Larry Cohen and director William Lustig, is one of the most loved and well-known cult classic franchises on the planet. The first film, released in 1988, was a pleasant and unexpected surprise, mixing elements of mystery, horror, suspense and a little action surrounded by a legendary cast that included Bruce Campbell, Tom Atkins, Laurene Landon, and of course, the one and only Robert Z'Dar as the titular character. While it didn't blow audiences away initially, it's since become a certified cult classic and an excellent example of competent, entertaining low-budget filmmaking. When Maniac Cop 2 followed in 1990, it pushed the envelope so much further that it dove straight into the Grindhouse/Exploitation genre, and it was legendary. Not surprisingly the most popular film in the franchise, and to put it frankly, the best, it threw in other notable cult icons such as Robert Davi and Claudia Christian into the mix. The result is by far one of the best low-budget action/thriller/horror films ever made. Had they ended the franchise there, it would have been on an extremely high note, but as we all know, things rarely ever work out that way. 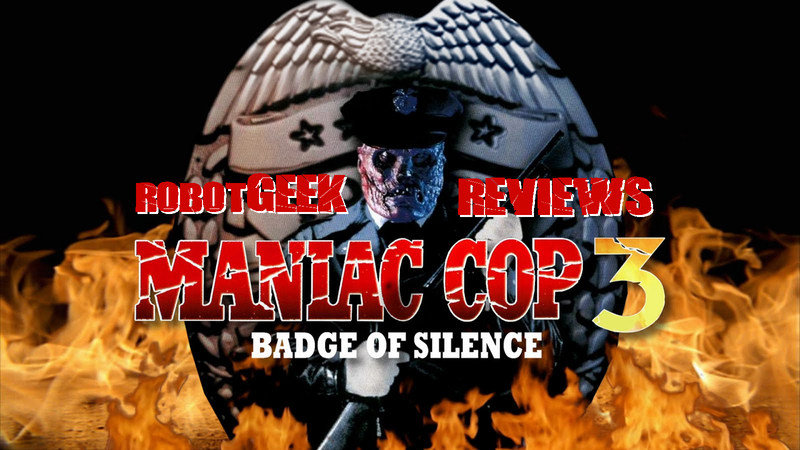 So they continued on with a third entry, this time called Maniac Cop 3: Badge of Silence, released 3 years later in 1993. This particular entry has been, for all intents and purposes, thrown under the bus by most fans of the franchise and considered to be the worst and least effective entry. I guess it's because of this that I kind of stayed away from revisiting it. I remember watching it when it first came out, but honestly, have not seen it since and remember virtually nothing about it. Which, to be honest, is a true shame because having finally revisited it recently, I was sort of floored by the fact that it was actually quite good and a much better film than the reputation it's received. Let's dig in. When a female cop is gunned down by a coked up drug addict during a hostage situation, she stands accused of excessive force. While she lay in a coma, Matt Cordell (Maniac Cop) returns from the dead to exact vengeance and take her as his undead bride with the help of a voodoo priest. Hot on his trail once again is Det. Sean McKinney (Robert Davi), who feels an eerie sense of deja vu. Really, this film was a helluva lot better than I was expecting, or that people give it credit for. I am aware of the troubled production and history, and that Oley Sassone (Roger Corman's Fantastic Four) came in to shoot some more footage after director William Lustig submitted a rather short cut and didn't return, but even so, this movie isn't nearly the disaster everyone has made it out to be. Sure it's a different tone altogether, which is something I rather enjoyed. Truthfully, this should have been called "Maniac Cop 3: Bride of Maniac Cop" because essentially, that's what this story is at it's core (despite a lot of other filler), and had they gone that route and just embraced the absurdity of it, I think it really could have won over a lot of people, mainly the films many, many detractors. Is Maniac Cop 3 perfect? Not at all. The film suffers from a few issue's, such as it tends to drag in the middle, and it's never explained how or why, given that Matt Cordell is dead and buried 6 feet under, becomes aware of the female police officer being gunned down and railroaded for her supposed use of excessive force, to which Cordell seemingly comes to her rescue by rising from the grave. Yet it carries over a lot of what made the second installment so great, while bringing a significantly different tone that leans more towards Gothic than anything else. They really play up that angle well by having a lot of the film take place in an old church, especially towards the end, which by the way, is pretty epicly fantastic and for me personally, more than makes up for any issues the film might have had leading up to this point. The final third act of this film is a badass display of insane stuntwork, tight editing, and Robert Davi being the total badass that he is - finally being given his moment to shine in this particular entry. In fact, Davi might actually be one of this films biggest saving grace. Had it been anyone else in the role, I seriously doubt it would have been nearly has awesome. That's just my opinion though. My only real complaints are that it feels at times like William Lustig, as the director, is not really up to his usual par in terms of visuals, and that the pace lags a bit in the middle. There's also a subplot about an unscrupulous news cameraman who holds the raw footage of the hostage situation that would clear the officer of any wrongdoing, but really goes nowhere. Other than that, I didn't really find anything terribly incompetent or annoying about it. It's a little different, but is that such a bad thing? Maniac Cop 3 may not be the fan favorite in the series, but it doesn't deserve the flack it gets and nowhere near the terrible film people say it is. It's wholly in line with the first 2 films, only taking it in a slightly different direction with the whole "bride" angle. There's still some great violence, action, solid direction from William Lustig (with the help of Oley Sassone), a different score and theme than the now-classic score to Part 2 (but still really good), and Robert Davi really kicking it up a notch here into legendary status. Give this another shot. You just might realize that it's not all that bad. You might even enjoy it! Released on every format, the best version you can buy is Blue Undergound's (a company run by William Lustig himself) fantastic Blu-Ray released in 2013, which comes with a spiffy new transfer supervised by Lustig as well as a host of Special Features that dig into the films troubled production along with deleted and extended scenes. Definitely worth a purchase, which I myself still haven't done yet. 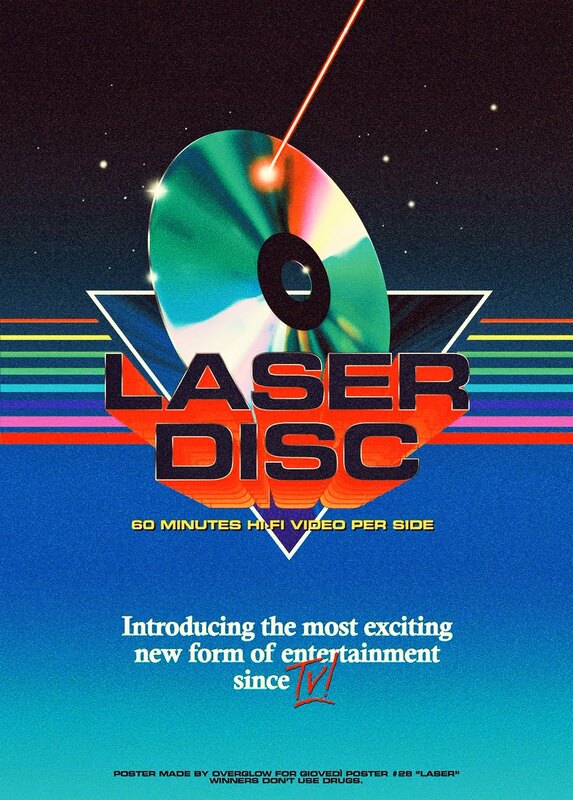 But, after having seen it and loving it, it's a no-brainer for me and will be in my collection soon enough. If streaming is your thing, you can rent it on Amazon in HD for just a few bucks.